I have then added flavorings to turn it into a pumpkin cheesecake. 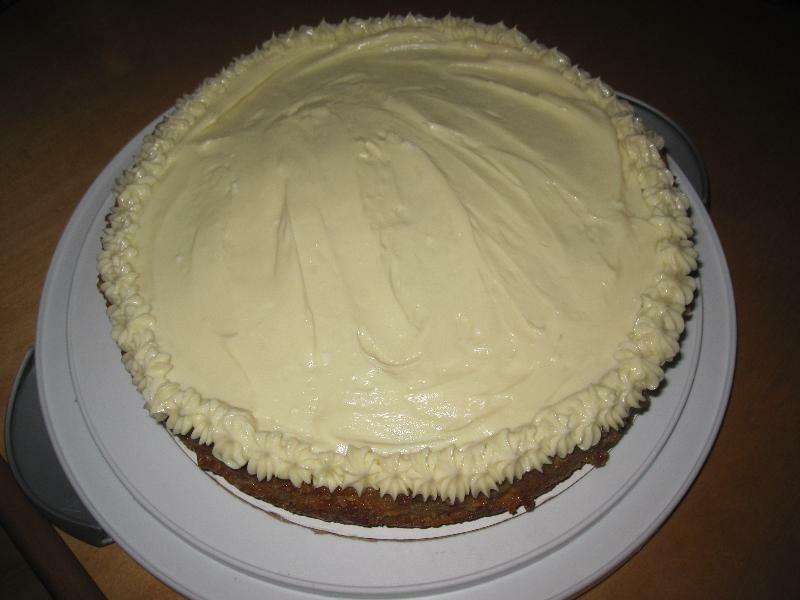 I then found the recipe for the white chocolate cream cheese frosting here. I did alter the amount of butter that I added to it. In a bowl, combine cracker crumbs, cookie crumbs, sugar, and butter. Press into the bottom of a greased 10 inch spring form pan. Place on a baking sheet. Bake at 325 degrees for ten minutes. Cool on a wire rack. Next add in the cinnamon, nutmeg, and ground cloves. Beat until mixed in. Then add in the can of pumpkin. Beat until well blended. Return the cheesecake to the baking sheet.Bake the cheesecake on a baking sheet at 325 degrees for 65-75 minutes or until center is almost set. Beat the cream cheese really well. Next beat in the melted white chocolate. Then add in the butter and vanilla. 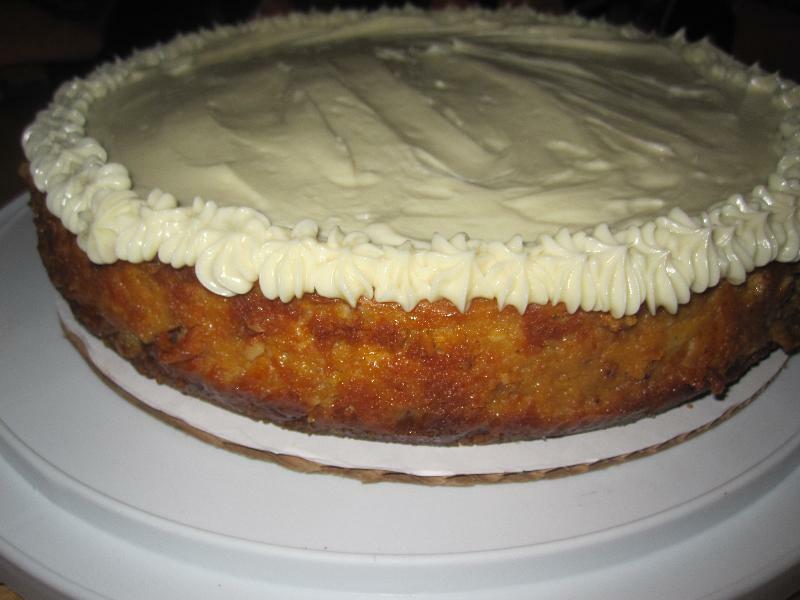 Description: A delicious cheesecake with a to die for frosting!